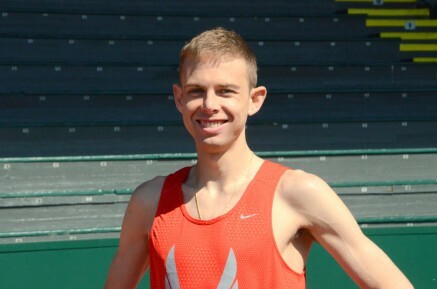 Sacramento, 29th June 2014 – Olympic 10,000m silver medallist Galen Rupp (USA) won his 6th consecutive USATF 10,000m title with a devastating last lap kick at the USATF Outdoor Championships in Sacramento. The Nike Oregon Project athlete was content to follow the early pace before hitting the front with 500m to go to win in 28:12.07 from Chris Derrick and Ryan Vail. Jordan Hasay (USA) equaled her 2nd place finish from last year in a very exciting last lap tussle with Kim Conley. Conley had led most of the final laps until Jordan kicked past her on the back straight with 250m to go. The Alberto Salazar coached athlete looked to have timed her kick to perfection before Conley dug deep in the home straight and came back to win in the final strides. They were timed at 32:02.07 and 32:03.28 with a 62 secs last lap. Shannon Rowbury (USA) also thought she had timed her kick to perfection in the 5000m having tracked Molly Huddle for the final 2000m. Shannon went ahead going into the final turn, Huddle responded in the home straight as they fought one of the best final 100m battles of the weekend. At the line Huddle edged it in 15:01.56 to Shannon’s 15:01.71. Mary Cain (USA) was involved in a tough race with current World 1500m silver medalist Jenny Simpson. Simpson took the race out at in strong pace from the start and Mary was content to sit in a be led round. On the last lap she gathered herself to mount a challenge but was not able to overhaul Simpson, however, Mary but still crossed the line second in a seasons best 4:06.34. To complete a quadruple of silver medals for PACE athletes, Laura Roesler (USA) smashed not only her PB but also the 2 minute barrier for the first time in the womens 800m. Using the racing experience that has already brought her two NCAA titles this year Roesler crossed the line in 1:59.04.